The following is guest post from Josh Fortunatus, a longtime RAB reader and a longtime Yankees fan who lives in Phoenix. With RAB shutting down in two weeks, Josh wrote about what RAB means to him, and I thought it was worth sharing on the site. I’ve had a lot — a *lot* — of people reach out with similar stories and I thank you all. I’m a millennial. I say that as a statement of fact and not as some proud, defiant proclamation. I was born in 1985 in Plattsburgh, New York, which is a place that could be described as everywhere and nowhere. You see, there are many towns like it but I challenge you to find it without typing it into Google Maps. For a baseball fan growing up in the 90s, Plattsburgh felt like a dream because no major league club had a monopoly in the market. You could love any club you wanted to. Expos, Red Sox, Mets and Yankees fans co-existed in an interleague utopia. You had the pick of the litter. You could love one team and not worry about being outnumbered by another fanbase. It was a creature comfort. And since I lived close enough to the Expos’ Stade Olympique, it meant I had easy access to watch live ball games in person. As much as I tried, I couldn’t love the Expos. Then one day, my mom bought me a mitt with Derek Jeter’s insignia and I found my club. For many millennials, phrases like “you can be whoever you want to be” and “it won’t feel like a job if you truly love what you do” might sound like milquetoast meditations on how to comport yourself but if you ask your parents how often they heard those sentiments in their youth from their own parents, chances are they didn’t hear them much. Gen Xers and Boomers often followed their parents into their line of work or pursued the career of their parents’ choosing. In the 50s and 60s, children were not considered the focus of the family. As you can imagine, the father was. But as the rates of divorce and women in the workforce grew from the 70s and beyond, so did the focus on children within the immediate family. My father is an immigrant and my mother was born near Albany, New York. My parents subscribed to the notion that their kids should be able to pursue their dreams, loves and interests. My father felt it was necessary in the interest of assimilation while my mother simply rejected her parents’ parenting style. Then I found RAB. It was a merging of data and baseball that I had never seen before. Even my friends who are Sox fans read it. RAB opened me up to an analytics treasure trove including Moneyball, Fangraphs, Brooks Baseball, Baseball Prospectus and Baseball Savant. My assumptions, which were largely formed by the old school philosophies, were shattered. The days of arguing that Jeter’s 97 RBI as a number two hitter meant he should win the MVP were gone. I saw all data – not just baseball stats – in a new, revelatory light. To me, hunting for undervalued players became an obsession. Comparing legends was commonplace as a topic of conversation among my friends. Yet perhaps the most rewarding thing was seeing the evolution of the content itself as it changed from simply pointing out oddities to explaining why those oddities existed and contextualizing them. Instead of turning me away from baseball, understanding sabermetrics caused me to love the sport more deeply. In the end, my parents’ rejection of their parents’ teachings opened me up to the idea that I could take what I learned from RAB and turn it into my livelihood. I make my living as a data analyst and one my favorite facets of the job is finding new ways to solve old problems. My parents rejected the old ways. RAB rejected the old ways. And in turn, I rejected the old ways. In a significant manner, I credit RAB for my chosen profession. I’ll miss my most consistent lunchtime companion. I’ll miss the moment I type “r” into the search bar and see “riveraveblues.com” immediately show up. And a few months after RAB closes up shop and I’m no longer visiting the site, I won’t see it anymore. Google will have decided that it’s no longer relevant. But I know the truth. RAB is the definition of surplus value. It’s basically Aaron Judge’s rookie season but for twelve straight years. We’re all lucky to have had this unbelievably consistent and quality outlet for our favorite ball club literally at our fingertips. Thank you to Mike, Ben, Joe and everyone who contributed over the years. It’s been a pleasure. Get a good look at George M. Steinbrenner Field this afternoon. The Yankees won’t be back there until next spring. The home portion of the Grapefruit League season ends today and the Yankees only have three exhibition games remaining. Today in Tampa, tomorrow in Fort Myers, Monday at Nationals Park. Available Position Players: C Francisco Diaz, C Jorge Saez, IF Angel Aguilar, IF Oswaldo Cabrera, IF Thairo Estrada, IF Wendell Rijo, OF Isiah Gilliam, OF Tyler Hill, OF Ben Ruta, OF Zack Zehner. Diaz and Saez are still in big league camp as non-roster players. Everyone else is up from minor league camp for the day. Available Pitchers: RHP Daniel Alvarez, RHP Braden Bristo, LHP Aroldis Chapman, LHP Phil Diehl, RHP Chad Green, RHP Jonathan Holder, RHP Brooks Kriske, LHP Gio Gonzalez, Alvarez, Bristo, Diehl, and Kriske are the extra arms from minor league camp. Warm, sunny, and not too humid in Tampa today. Pretty much perfect baseball weather. 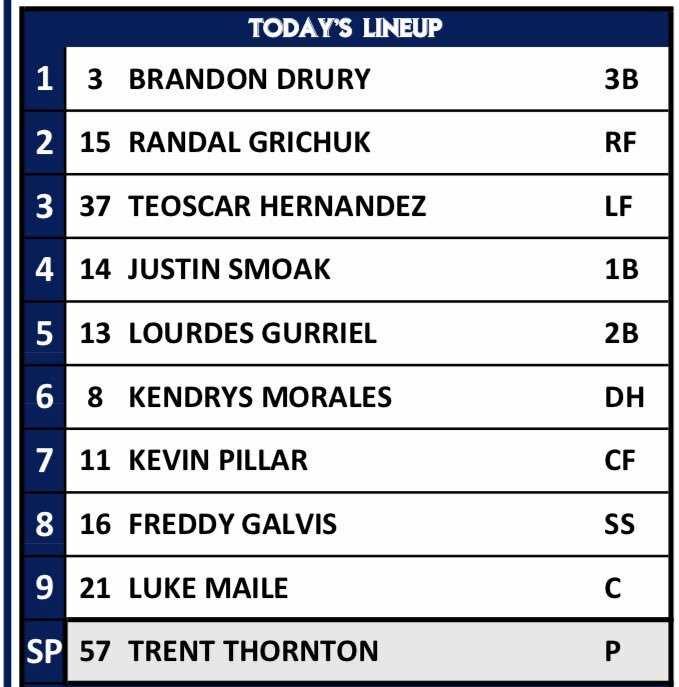 This afternoon’s spring home finale will begin at 1:05pm ET and you can watch live on YES, MLB Network, and MLB.tv. MLB Network will be blacked out in the Yankees’ home market (you have to watch on YES) but there are no MLB.tv blackouts in Spring Training. Enjoy the game, folks. OOTP Guest Series: What if the Yankees had traded for Cliff Lee in 2010? The hot stove is running cold right now, so this week we’re running a series of guest posts from Sam Tydings, Steven’s brother. Sam used Out of the Park Baseball to simulate some past “what if” Yankees scenarios. We’ve already looked at the Greg Maddux non-signing, the Albert Belle non-signing, and the Vlad Guerrero non-signing. Now it’s time for the Cliff Lee non-trade. You can follow Sam on Twitter at @simmonsclass. The morning of July 9th, 2010 was a crucial one in recent Yankees history. At the time, the defending champion Yankees had a 3-game lead in the AL East over the Rays and a 5-game lead over the Red Sox, and the team was in Seattle for their final series before the All-Star Break, scheduled to face M’s ace Cliff Lee that night. The Mariners were tied for the 2nd worst record in the American League, despite trading for Lee in the final year of his deal over the winter to pair with young ace Felix Hernandez in an attempt to make their first playoff run since 2001. There had been light speculation about where Lee would be moved, but then all hell broke loose on the morning of the 9th. A deal sending top prospect Jesus Montero, along with infielder David Adams and pitcher Zach McAllister to Seattle for Lee was just about done. Until it wasn’t. Whether it was a legitimate concern or a ploy to get Texas to up their offer, the Mariners pulled out of the deal over Adams’ medicals, shipping Lee to the Rangers, who he would lead to the AL pennant before spurning the Yankees again in December to join the Phillies. The fake 2010 Yankees immediately take off with Lee helping to anchor the rotation. Instead of dueling with the Rays for the division title, the Yankees cruised to a 104-58 record, topping their 2009 mark. Meanwhile the Lee-less Rangers clung to the American League West at 82-80. The teams ended up meeting in the fake ALCS, but with Lee on the Yankees, the series is a rout. The Yankees ended up only dropping one playoff game en route to their 2nd straight championship. Lee went 12-1 with just a 1.84 ERA for the team after the trade, leading to his second Cy Young award. Fun fact: the 2010 Yankees gave 19 second-half starts to Dustin Moseley, Sergio Mitre, and Ivan Nova. Congrats, Cliff! We’re all very happy for you! Perhaps wooed by the ring, Lee stayed in New York with a massive 5-year contract that featured an opt-out after just two years. Fake Lee would go on to lead the Yankees to another pennant before bouncing around the league, finishing just shy of 75% on his final Hall of Fame ballot. It is difficult to see a reality in which a Lee trade does not result in at least the Yankees’ second straight pennant if not another title. Lee was ultimately felled in that 2010 World Series by the likes of Freddy Sanchez, Cody Ross, and Edgar Renteria of course, so anything is possible. The key component of the Lee trade heading to Seattle was Montero, who was a few months removed from being tied to a Yankees trade for Roy Halladay, and 18 months until he was ultimately flipped to the Pacific Northwest but for Michael Pineda instead of a bona fide ace. Had Lee come to New York and won a title regardless of signing an extension, the trade would have been immediately justified. If he had a similarly awful World Series as the one he pitched in Ranger blue and red and headed to Philadelphia anyway, we would still be ruing the lack of value received for Montero, even if he struggled as he did in Seattle. Obviously with hindsight being what it is, the Yankees should have dealt Montero in a package for Halladay at the 2009 Winter Meetings if it was truly on the table, instead of refusing to send their top prospect in-division. The 2009-2012 contention window had many fond memories, but it was clear at the time and more so now almost a decade later that the team needed another frontline starter. There are a myriad of reasons why the Lee trade could have been a disaster for the Yankees: the playoffs are random, he might have ended up hating New York and leaving without delivering a title, maybe Montero thrives with more seasoning in Seattle (ok, probably not that last one). Regardless, if the Yankees weren’t being nakedly used for leverage over the course of a year, they missed their shot to deal their best hitting prospect in a decade from a position of depth for an ace who could have added a couple of more flags to the new stadium’s facade. OOTP Guest Series: What if the Yankees had signed Albert Belle during the 1998-99 offseason? The hot stove is running cold right now, so this week we’re running a series of guest posts from Sam Tydings, Steven’s brother. Sam used Out of the Park Baseball to simulate some past “what if” Yankees scenarios. Yesterday we looked at the Greg Maddux non-signing. Today it’s the Albert Belle non-signing. You can follow Sam on Twitter at @simmonsclass. It is hot stove season, which means it is officially time to picture every top free agent in Yankee pinstripes and without facial hair, while assuming the team will retain anyone they want to keep around as they pursue championship number 28. Currently the team is looking to build its next dynasty and fly more flags, but the 20th anniversary of a moment that nearly broke up the last Yankees dynasty recently passed. In November of 1998, the Yankees not only nearly failed to keep Bernie Williams, but would have (allegedly) allowed him to sign with the Boston Red Sox. Had Williams walked, the Yankees would have purportedly signed temperamental outfielder Albert Belle, who was coming off of a year where he hit .328/.399/.655, leading the league in OPS and hitting 49 homers. Belle opted out of the last 3 years and $30 million dollars of his deal with the White Sox, ultimately signing a 5 year, $65 million deal with the Orioles. But what this blog presupposes is…what if he didn’t? Thanks to the majesty of Out of the Park Baseball, I simulated the world where Bernie teamed up with Nomar to lead the 1999 Red Sox while Albert Belle tried to keep the Yankees emerging dynasty going. I feel like George’s expectations probably would have been higher than this Opening Day lineup! The fake 1999 season was an extraordinarily compelling one. The Yankees and Red Sox battled all season long, with the Bombers ultimately compiling 102 wins to Boston’s 101, good enough for a division title and ultimately the same ALCS matchup and result that actually occurred, as the Yankees defeated the Red Sox in 5 games before beating the Astros in 5 to claim their 25th World Series. Belle hit 25 homers but struggled in the playoffs, while Bernie slashed .329/.406/.520 with 22 homers for the Red Sox. Then things got weird. The Red Sox shipped out Bernie after one season to clear budget space for some free agent signings, and the Rockies and Orioles ended up being the dynasties of the mid 2000’s. Belle never topped 27 homers with the Yankees, retiring after only playing 13 games in 2003. He topped out at just over 60% of the fake Hall of Fame vote before falling short, while Bernie never got over 20%, but did pick up a few rings with the Rockies, to put a bow on a stellar career and one way the story could have gone. Had Bernie actually walked, I highly doubt the Yankees would have gone into the 1999 season with Tony Tarasco starting in center field like our fake Yankees did. Certainly by 2000, the team would have acquired a longer-term solution in center by trade or free agency. By Opening Day 2000, Jim Edmonds would be traded from the Angels to the Cardinals for Adam Kennedy and it is easy to picture Edmonds tracking fly balls in death valley at the old stadium and making highlight reel catches, even helping to cover for Belle’s lack of defense in the corner. But one more interesting option might have been on the table for a fascinating what-if of its own: noted Yankee killer Ken Griffey Jr, who famously rejected a trade to the Mets before accepting a trade to Cincinnati before the 2000 season. At the time, Griffey was not said to be willing to accept a trade to the Yankees either, but with Bernie entrenched in center, the Yankees’ need wasn’t as pressing. But it’s hard to see the Yankees not being willing to throw together an offer around enticing (at the time) names like Ricky Ledee, Randy Keisler, Drew Henson, maybe even Alfonso Soriano if it meant Griffey would be taking his talents to the Bronx. The Yankees dynasty of this simulation died on the vine after the 1999 title, but with Belle and Edmonds or Belle and Griffey, it could have potentially surpassed the heights the team ended up reaching. Of course, it easily could have fallen far short. Ultimately, we should all be thankful Cashman/Boras/Bernie were able to work something out to keep the dynasty alive and leave Belle’s tenure in pinstripes as a hypothetical, even if they should have won a few more titles along the way. OOTP Guest Series: What if the Yankees had signed Greg Maddux during the 1992-93 offseason? The hot stove is running cold right now, so this week we’re going to run a series of guest posts from Sam Tydings, Steven’s brother. Sam used Out of the Park Baseball to simulate some past “what if” Yankees scenarios. We begin today with the Greg Maddux non-signing. You can follow Sam on Twitter at @simmonsclass. The hottest Broadway shows. The biggest contract given to a pitcher in MLB history. Donald Trump. These were supposed to be the deciding factors behind Greg Maddux leaving the Cubs to join an upstart Yankees club looking to make a big free agent splash in the winter of 1992. Instead Maddux spurned the Yankees, who had not made a playoff appearance since 1981, in favor of joining a Braves team which had won back-to-back NL pennants but had yet to get over the hump and win the World Series. The Yankees not only missed out on Maddux, but every free agent pitcher they targeted that winter, including David Cone, Doug Drabek, and Jose Guzman, along with Barry Bonds, who left Pittsburgh for San Francisco that winter despite the Yankees making some overtures. Perhaps this could be attributed to the fact that George Steinbrenner was still suspended by Major League Baseball due to the Howie Spira/Dave Winfield issue. Of course, Steinbrenner ceding day-to-day operations of the team, including roster control, to Gene Michael was a net positive in the end as it assuredly kept the Yankees from shipping off the entire Core Four (and Bernie! ), even if it meant whiffing on the class of ’93. Maddux left $6 million on the table, a big deal in pre-strike MLB money, in order to form one of the most formidable rotations in MLB history. The mid to late 1990’s turned out pretty well for both Maddux (three Cy Youngs and a World Series ring) and the Yankees (four titles, two over Maddux’s Braves), but let’s imagine a past where Maddux takes the Yankees’ monster offer and joins a future dynasty with Bernie Williams, Don Mattingly, and Paul O’Neill on the MLB roster and the Core Four waiting in the wings in the minors. Of course, the team’s run of dominance was only just beginning, as adding players like Andy Pettitte, Mariano Rivera, Derek Jeter, and Jorge Posada, all who were in the Yankees’ system by the time Maddux signed, turned the AL into a laugher. Starting with the 1995 season* the Yankees won seven straight pennants and nine out of ten, including the 1995-1997 and 2000 and 2003 World Series. Maddux was of course incredible, winning three Cy Youngs, two MVP’s, and a World Series MVP along the way, cementing his spot in Yankees lore and the MLB Hall of Fame. Yes, it is possible that the Yankees were one move away from having an even more dominant run than we experienced twenty years ago. * A quick caveat on Out of the Park Baseball: It plays out the 1994 season as scheduled and a full 162-game schedule for 1995. So for this exercise we have to suspend our disbelief for a little and pretend that the richest team adding the best pitcher to a huge contract would have done away with the strike instead of exacerbating tensions. As Maddux helped prove in Atlanta, the MLB playoffs are a random beast. Every dynastic team experienced a huge break or two along the way, on the field or off, and every would-be dynasty was denied some of those same breaks. The 1999 Braves had an 8th inning lead in two World Series games but all it is remembered for is a Yankees sweep to cap off a dominant century of play. Maddux to the Yankees might have been enough to push the team past Toronto in ’93 but more importantly, it raises the ceiling on the championship window that already existed. Would Maddux at the peak of his powers in 1995 been enough to give the Yankees the AL East and avoid the Seattle team that would ultimately fell them? Would it have been enough to propel the Yankees past the rest of the American League in 1997? With an ace missing from the Braves’ rotation, does another team fill the power void in the National League to play spoiler to the Yankees dynasty we all knew and loved, or would they have just been replacement victims in the background of our World Series VHS collection? The Yankees missed out on Maddux, but obviously did not miss out on the parades. It is the most stereotypical Yankee fan complaint in the world, but the 90’s dynasty somehow could have been even better, and everyone would have hated the Yankees just that much more. The following is a guest post from Zachary Abate, a journalist in the DC area and lifelong Yankees fan. He wrote about the Yankees’ financial situation and their offseason spending. 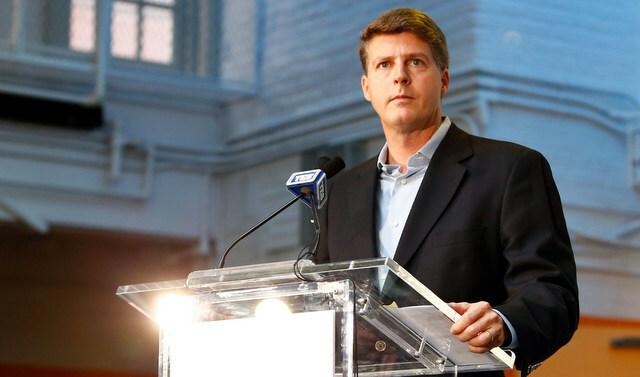 Hal Steinbrenner and the Yankees ownership team have talked about getting under the luxury tax threshold for years. In a March 2015 interview with Bill Madden of the New York Daily News, Steinbrenner responded to claims of being cheap after the team passed on free agents Max Scherzer and James Shields and were outbid by the rival Red Sox for Cuban top prospect Yoan Moncada, specifically by citing the tax threshold. The Yankees finally reached Steinbrenner’s goal in 2018, finishing the season with a $193 million payroll — approximately $4 million below the $197 million luxury tax threshold for the season. Mission accomplished. During the same stretch of years in which Steinbrenner and company banged the luxury tax drum, Yankee fans debated where the financial future of the team lied. The most optimistic among the crowd pointed to the 2018-2019 offseason when Bryce Harper (26), Manny Machado (26), Clayton Kershaw (31), Josh Donaldson (33), Charlie Blackmon (32), and others were scheduled to hit the free-agent market. If the Yankees could sneak under the luxury tax threshold in 2017 or 2018, they could hit the reset button, freeing themselves of any multiplier penalties, and splurge on this premier crop of players in a spending spree reminiscent of the 2008-2009 offseason. Surely this was the plan. Other fans were quick to point out that the Yankees ownership never said they would resume their big spending habits once the team was under the luxury tax threshold. And if Brian Cashman could find a way to build a competitive roster for around $200 million, the temptation to remain near or under the threshold would be great for Hal Steinbrenner. As the early 2000s teams fade a bit in our memories, it’s worth revisiting just how much financial might the Yankees used to exercise. The following revenue figures are courtesy Forbes, while the player payroll figures are from Cot’s Contracts. Going back to 2003, the first year of the collective bargaining agreement instituting a luxury tax, the Yankees raked in approximately $238 million in revenue and spent more than 75% of that revenue on player payroll, just around $180 million. The Yankees didn’t simply carry the league’s highest payroll; they crushed the competition. While the Yankees were knocking on the door of $200 million, only two other American League teams, the Rangers and Red Sox, crossed the $100 million plateau — and just barely. The next closest MLB team in spending, the Mets, carried a $116 million payroll. Adjusted for inflation, the dollar gap between the Yankees (no. 1) and Mets (no. 2) spending in 2003 was the same as the gap between the Red Sox (no. 1) and Indians (no. 16) spending in 2018. In the years that followed, the Yankees annual revenue soared, passing $300 million in 2006, $400 million in 2009, $500 million in 2014, and $600 million in 2017. TV deals, casino partnerships, and corporate sponsors pumped cash into the league, and no team saw revenues rise as swiftly as the Yankees. And yet, spending on player payroll did not hold steady. Instead, over the 15 years since the 2003 CBA, the percent of Yankees revenue going to team payroll dropped sharply: from approximately 75 percent in 2003 to 60 percent in 2008 to 50 percent in 2010 to less than 40 percent in 2017. Looking at the data, it seems apparent that the luxury tax threshold has worked as a cap to curb Yankees spending habits, even far before Hal Steinbrenner’s publicly-announced austerity plan. While Yankees payroll grew by $65 million between 2001 to 2003, it’s been mired in the $185 million to $245 million range in the 15 years since. Indeed, even despite the flatlined payroll, the Yankees have paid $341 million in luxury taxes since 2003 (on average $21.3 million per year). It’s hard not to compare the Yankees payroll growth with that of the Red Sox. At their post-2003 spending peak (2016), the Yankees had a $244 million payroll, an increase of 36 percent from 2003 not counting inflation. At their post-2003 spending peak (2018), the Red Sox had a $239 million payroll, an increase of 128 percent from 2003 not counting inflation. That despite New York enjoying hundreds of millions more in revenue than Boston over this period. If the Yankees simply maintained the same level of spending as they did in 2003, ignoring revenue gains but adjusting for inflation, they would’ve spent $247 million in 2018. If the Yankees preserved the same distance between themselves and the next highest spender as they did in 2003, they would have spent $370 million in 2018. If the Yankees spent the same percent of revenue on payroll as they did in 2003, the team would’ve spent $468 million in 2018, using 2017 revenue numbers. Now don’t take the previous paragraph as an advocation for dropping a payroll north of $450 million in 2019. Those numbers simply show us the massive financial might the Yankees levied in the early 2000s, and the advantage they have let slip away. The knee-jerk reaction to the above question is simply, “Ownership is pocketing it.” And while ownership is most certainly pocketing some of the money, there are other factors at play. Revenue tells us the income being earned by an organization, but that is not the same as profits, which tells us the difference between income earned and expenditures. While exact data on Yankee profits is not publicly available, we do know that Yankee expenses are massive. Expenses for the franchise include annual debt payments for Yankee Stadium construction, which reached $76 million in 2018. Additionally, the Yankees have recently sunk millions into renovating Steinbrenner Field and Yankee Stadium, upgrading minor-league facilities, and amassing possibly the largest analytical department in the major leagues. Other expenses include stadium upkeep, inventories, non-player salaries, legal fees, travel expenses, recruiting and scouting costs, player development costs, marketing, taxes, and revenue sharing. Unfortunately, the total sum of these expenses is not disclosed by the team, though there are reports that Yankee profits may be lower than the public realizes. Forbes calculated the Yankees operating income, which they define as “earnings before interest, taxes, depreciation and amortization,” as only $14 million in 2017, which would put them in the bottom third in the league. Note that this total does not include any operating income from other businesses owned or partially owned by Yankee Global Enterprises LLC, such as Legends Hospitality Management, the YES Network, and the New York City FC soccer team. It’s impossible to dig further into the numbers here unless more data is made available. While the Yankees are investing a smaller and smaller percentage of revenue into player payroll, they are at least investing money in analytics and player development. But are non-payroll expenses truly eating up over 60 percent of revenue? Or is this fancy accounting? Mets-like financial incompetence? Or just rising costs in an expensive industry? The number crunching is murky. While league-wide revenue rose for the 16th consecutive year in 2018, reaching a record of $10.3 billion, the total amount spent on team payrolls dropped and the average MLB salary dropped. The table below shows league revenue according to Forbes estimates and total team payrolls according to the Commissioner’s Office. The decline in revenue spent on player payroll was less steep league-wide than it was for the Yankees, but the decline was there nonetheless. While FanGraphs and other outlets were ringing warning bells earlier, it wasn’t until the sluggish 2017-2018 and 2018-2019 offseasons that the issue of declining team spending really came into the spotlight. And whether lethargic free-agent spending is a result of collusion (unlikely), the luxury tax working exactly as intended by owners (likely), or simply the result of teams abandoning players over 30 for younger, cheaper talent, player salaries will be a hot topic in negotiations between MLB and the MLBPA when the current CBA expires in 2021. But it’s not all bad news on this front. Ben Lindbergh of The Ringer argued in February 2018 that the change in percent of revenue going to players may not be as dire as previously reported, when adding player benefits to the payroll figures and using MLB’s much lower league revenue estimates. What Does the Future Hold for the Yankees? The word “cheap,” when used as a descriptor for an individual, means stingy or penny-pinching. Therefore, it’s not a good descriptor for Hal Steinbrenner, who has OKed team payrolls north of $200 million for most of the past decade, paid tens of millions in luxury taxes and revenue sharing, and allowed significant investment in the team’s analytical department and player development areas. And the Yankees certainly haven’t been cheap by the strict definition of the word this offseason, spending approximately $89 million in guaranteed dollars to sign Zach Britton, Brett Gardner, J.A. Happ, CC Sabathia, and Troy Tulowtizki. But it seems that the Yankees have undergone an intentional shift in strategy and surrendered their single greatest advantage — the willingness to financially bully their rivals. In 2018, a year in which the team had clear World Series aspirations, the Yankees carried a player payroll smaller than their payroll from 13 years prior, and that’s without adjusting for inflation. The Yankees spent a smaller percent of 2017 revenue on 2018 Opening Day payroll than 28 other teams — the tanking White Sox were the only team behind them. Yes, even the Rays, Athletics, and Marlins invested a larger percent of revenue into their Opening Day payroll than the Yankees. Even prior to 2018, the effects of lowering payroll were felt in the Yankees pursuit of a championship. In August 2017, the Yankees passed on claiming Justin Verlander, who had finished second in the Cy Young race in 2016, because of his salary. A claim would have either given the Yankees Verlander for just the price of his contract, opened trade negotiations between the Yankees and Tigers, or forced the Tigers to pull Verlander off waivers. Instead, the Yankees did nothing, for fear of being stuck with Verlander’s salary, and the rival Astros made their move. Verlander was instrumental in defeating the Yankees in the playoffs and leading the Astros to a championship. The 2018-2019 offseason is a test of the Yankees willingness to display their financial might. Two 26-year-old premier free agents, Bryce Harper and Manny Machado, are available and only a handful of teams are competing for their services. 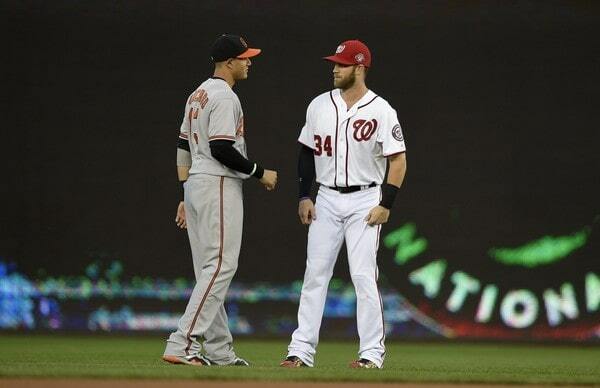 The Yankees could use either one — Harper would help balance an extremely right-handed lineup, while pushing Gardner into a fourth outfielder role, and Machado would give the Yankees much-needed stability at a premium infield position. Signing a fourth outfielder, a 7th inning reliever, a minimum-wage veteran infielder, and two 35+ year-old starters is one thing. But making a long-term investment in Harper or Machado is another thing. This is exactly where the Yankees financial might is most crucial. It allows Cashman to assemble a competitive team and then add the expensive, impact player to take them over the top. Spending simply for spending’s sake is foolish. And it’s reasonable to assume the Yankees may have been spending too much of revenue on player payroll in the early 2000s to be sustainable — in 2003 for example, the Yankees spent more than 75 percent of revenue on payroll, while league average was 59 percent. The Yankees window to win the World Series is open now, and there is no guarantee — no matter how talented the roster — that the window will remain open for a long time. The Yankees have not even won their division since 2012. Young players on potential Hall of Fame paths are rarely, if ever, available in free agency. This offseason, two of them are. The Yankees have room for both Machado and/or Harper on the 25-man roster, and both would improve the team in 2019 and going forward. The Yankees are currently spending a smaller percent of revenue on player payroll than they have at any point in the last 15+ years and well below league average. The Yankees rake in more revenue than any other MLB team by a wide margin. It feels like the Yankees are at a crossroads. The years-long goal of getting under the luxury tax threshold and resetting the penalties has been accomplished. Hal Steinbrenner and the Yankees brass must decide if the team will once again wield their checkbook as a financial cudgel over their rivals or simply accept being just another team hovering around the luxury tax threshold. For fans who have only seen prices — for tickets, parking, stadium food, memorabilia — go up over the last 15 years, it surely does not appear like the Yankee ownership will be sharing any of the savings they enjoy. So swing the cudgel, Hal. This is your moment.